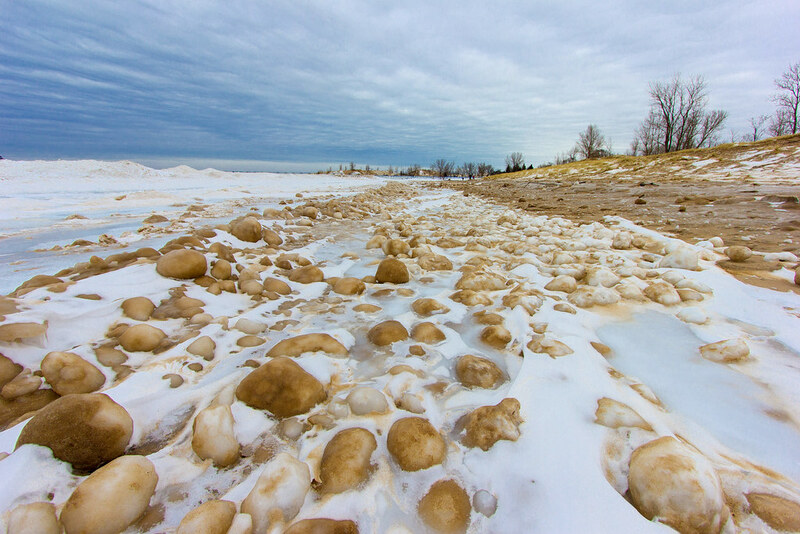 Every winter, on the shores of Lake Michigan in the United States, as well as on Stroomi beach in northern Tallinn, Estonia, hundreds of frozen ice balls form naturally. The balls can range from a few inches to more than a feet across. 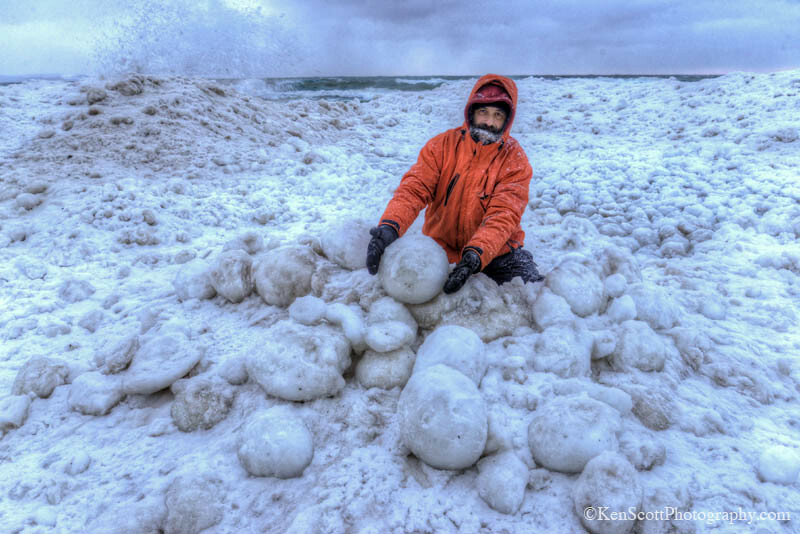 The balls form when chunks of ice break off the massive ice sheets that coat parts of the lake in the winter, and as the waves toss the ice blocks around the lake, additional ice forms around them in layers and the ice blocks gets bigger and bigger just like snowballs or hailstones. The pounding of the waves shape the ice into spheres. A similar phenomenon is seen on Stroomi beach on the Gulf of Finland. 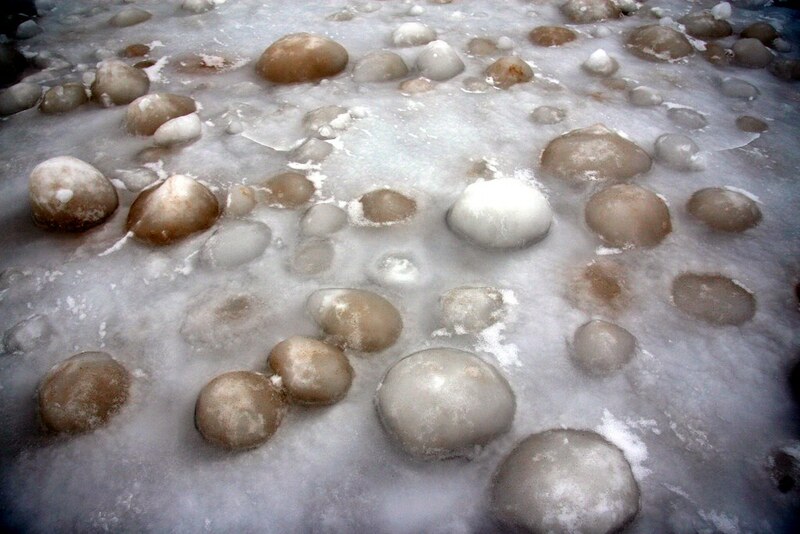 According to the German news portal Spiegel Online, a very specific condition is required for ice balls to form. The sea must also be flat, and the base must not drop steeply. These conditions prevail on the Gulf of Finland against Estonia.